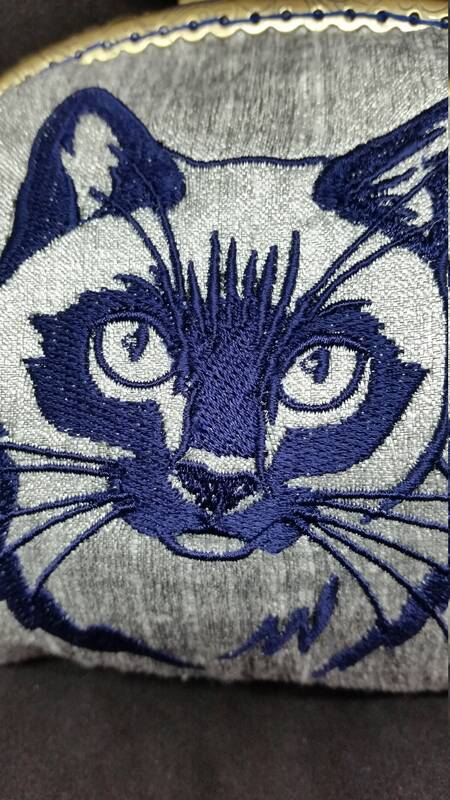 CP652.. 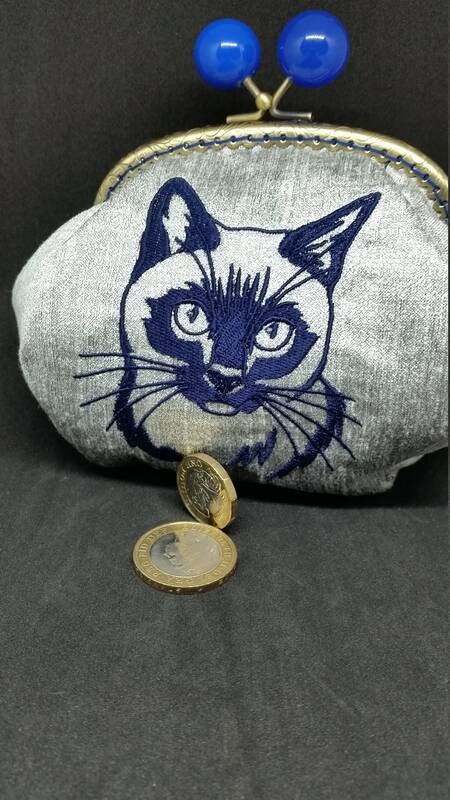 The siamese cat silhouette design large coin purse. 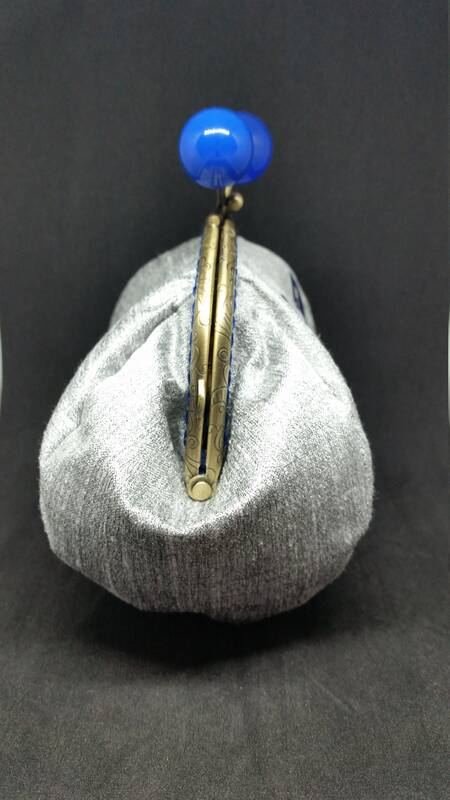 CP652. 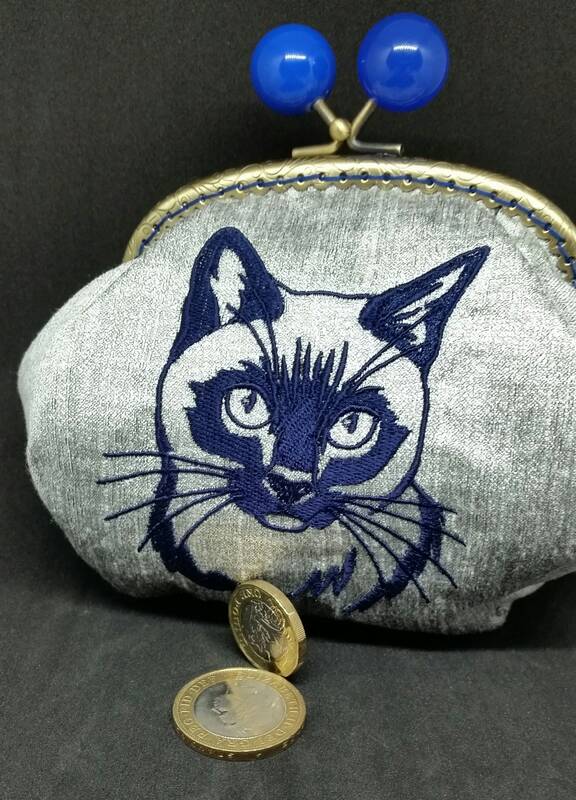 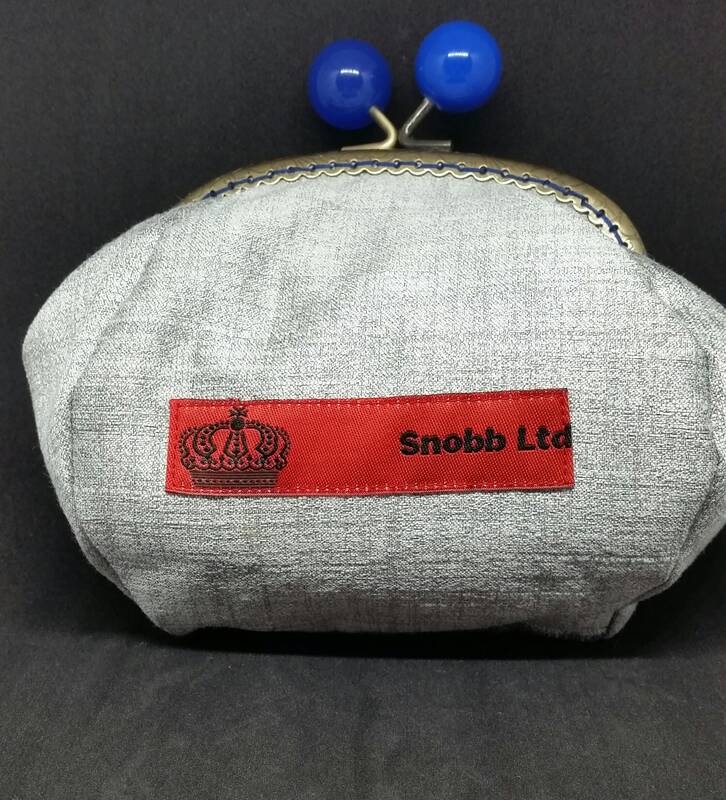 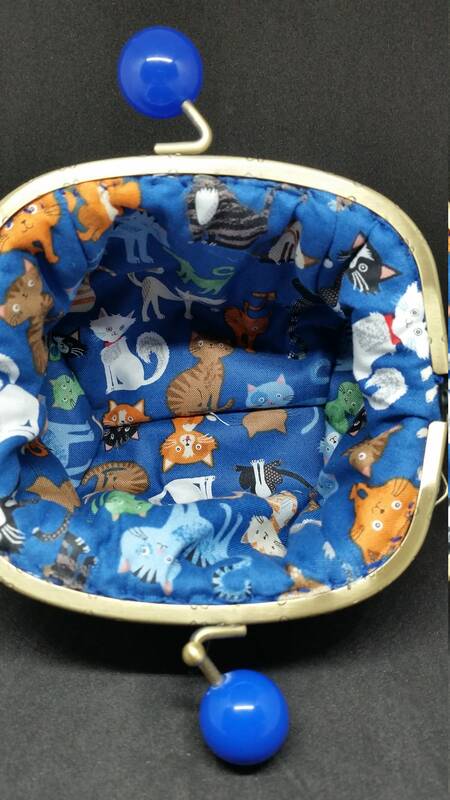 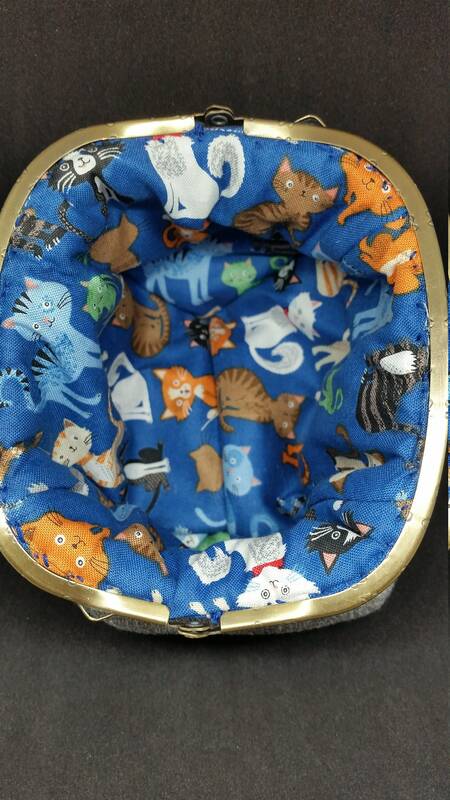 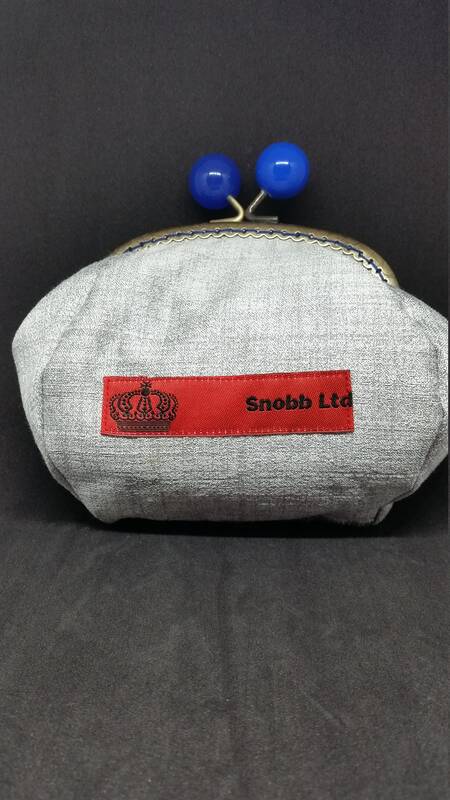 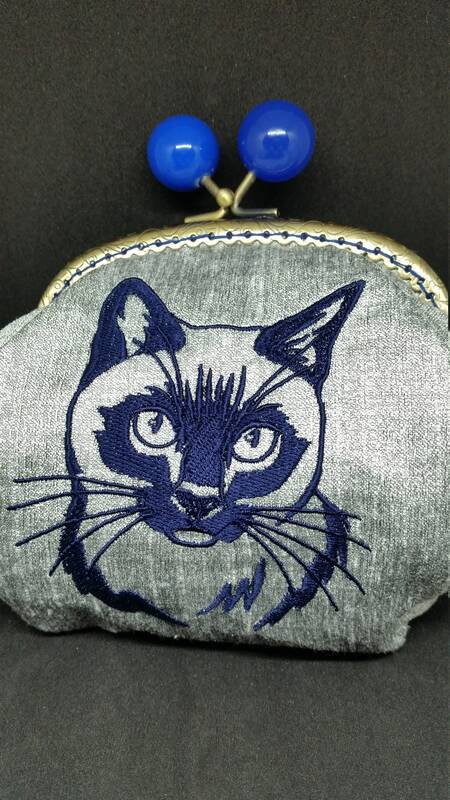 The Siamese cat silhouette design coin purse. 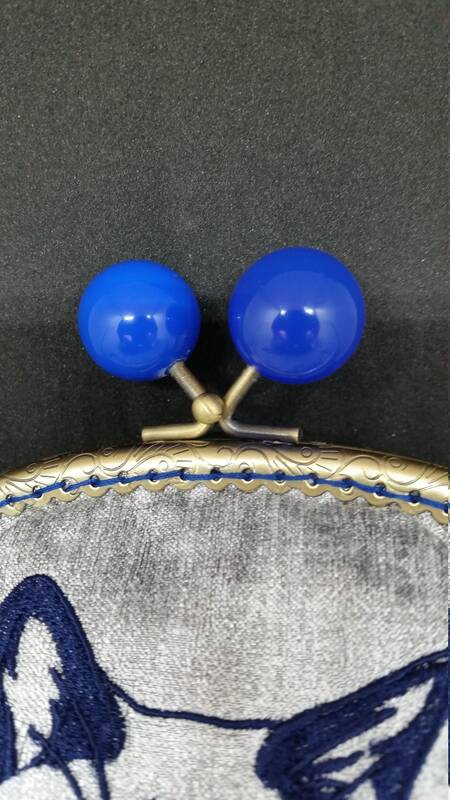 Antique bronze kiss lock frame with royal blue bauble clasp.